There are hardly ever any left overs when I make guacamole. Although, if you do, ensure you store the left overs in a air tight container and plastic wrap down right on the surface. 1. 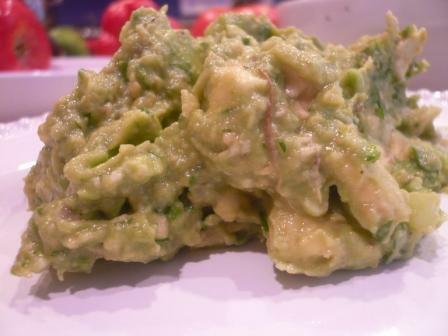 Mix all ingredients in a bowl with the back of a fork until the avocado is mashed and incorporated with the rest of the ingredients.